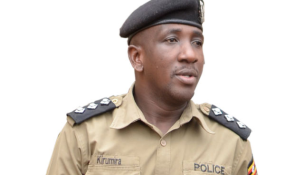 Kampala — Mr Joseph Galikweno, 32, a boda boda rider in Bulenga, Wakiso District, who witnessed the former Buyende District Police Commander, Muhammad Kirumira, shooting said the attackers were not wearing masks and the people around the area allegedly knew one of the assailants. In an exclusive interview with Daily Monitor at about 1am yesterday at the scene of crime, Mr Galikweno said he witnessed the gruesome murder of the outspoken police officer, first hand. "As I was riding from Busega (Kampala suburb) towards Bulenga, in a distance of about 100 metres, I heard the first round of gunshots. I did not mind them, I continued to ride forward and at a close range of about 60 metres, the gunshots became intense," he said. Mr Galikweno said out of panic, he swerved off the road to the nearby supermarket where he parked and looked in utter shock at the macabre incident. It appears that the gunmen first shot in the air to clear way for the killing. "It was surprising because unlike the usual killers who come wearing masks, these two rogues were not. The motorcycle they rode on is like those that the police always use. Some people have actually identified the taller man, they say he was a renowned robber in this area before he was taken into the (Police) flying squad department during the reign of former Inspector General of Police, Gen Kale Kayihura," he said. "At the time I was coming, Kirumira's Blue Toyota Corona Reg. No. UAJ 228V was parked near a Mobile Money kiosk. After he and Ms Resty Nalinya had locked the doors, the assailants showed up on a motorcycle, each carrying a gun. They aimed at the driver's seat, fired a couple of bullets in before shooting the person in the co-driver's seat," Mr Galikweno narrates. He said after the incident, the attackers abandoned their motorcycle and made off while shooting in the air. "This episode took a very short time. Many people remained in shock for over 30 minutes before thinking of pursuing the killers whom they could not catch up with. Thereafter, people started gathering at the scene but they found Kirumira still struggling for his life. They tried to rush him to hospital but he succumbed to his bullet wounds at Busega roundabout. The woman in the car died on the spot," he said. "Among those that gathered at the scene were journalists and security officers who had been informed by that time. One of the journalists I got to know as Shafick Lukenge of CBS FM was seriously beaten and I offered to ride him to the hospital," he said. It was later found out that another journalist, Mr Kenneth Kaweesi, of NBS TV was also stoned and his camera destroyed by security officials as they dispersed the rowdy crowds. "Some people riding their motorcycles were arrested and some detained. We were all sent into fear," Mr Galikweno said.